Multicrystalline silicon (mc-Si) wafers produced by directional solidification still dominate the world market, due to the factor quality/price. 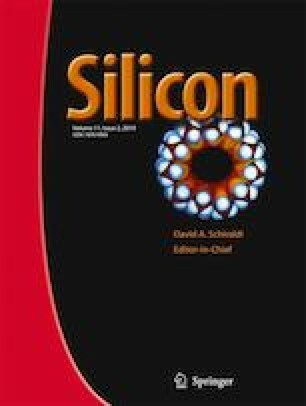 The performance of solar cell depends directly to the quality of wafer and impurities distribution in mc-Si ingot. In our study we investigate the distribution of the interstitial oxygen (Oi) and substitutional carbon (Cs), from the bottom to top of the silicon ingot. During the solidification process the solid-liquid interface moves upward with an average growth velocity of 1.2 cm/h, with a slightly convex form. The determination of (Oi) and (Cs) concentrations were performed thanks to the Fourier Transform Infrared Spectrometry (FTIR) technique. The results show that oxygen concentration increases near the crucible wall to the maximum value of 6.3 × 1017 atoms/cm3, and the carbon concentration decrease from maximum value of 9.59 × 1017 atoms/cm3 in the top to the minimal value of 7.84 × 1017 atoms/cm3 in the bottom of ingot. The concentration of global carbon and oxygen in the centre and corner bricks was investigated using the Secondary Ion Mass Spectroscopy (SIMS) technique. The concentration of oxygen and carbon in the center bricks were 1.8 1018 and 2 1018 atoms/cm3, and in the corner bricks 4.6 × 1019 and 9 × 1019 atoms/cm3, respectively. These results provide quantitative information on the concentration of the light impurities in the as-grown mc-Si and allow an overview of their spatial distribution within the final ingot. The authors are grateful for financial support by the FNR/CRTSE/DGRSDT/MESRS of Algeria.